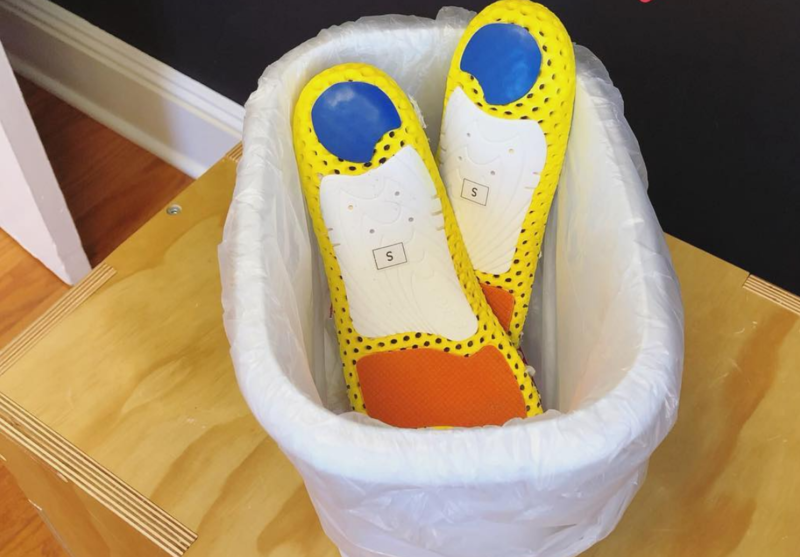 Now … we’re not saying that you should never wear orthotics. There are great reasons to use them on a short-term basis & sometimes on a long-term basis, but so many of our clients come in wearing them because someone told them they have flat feet – when they really have high arches & vise versa. It’s not, “you have pain somewhere below the waist & you have flat/arched feet so orthotics are the answer.” There are so many sneakers/shoes that will support your feet properly if chosen wisely. Neck Pain gone via Hips, Pelvis & feet!